As the oven heats up, lay the coconut on a baking tray and roast until golden. This should take 5 to 8 minutes at 190°C. Don’t forget to stir with a spatula every minutes on 1 and half minute or so to even out the golden colour. 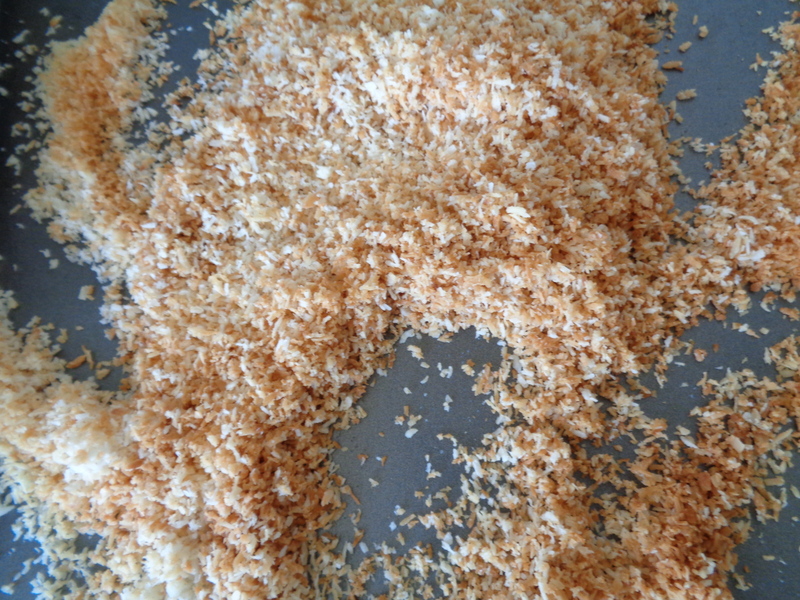 Once the coconut is roasted, remove the tray from the oven and allow to cool down before transferring into a bowl. Set aside. Drain the apricots halves set aside. Rub a generous amount of butter in all the ramekins including base and sides. Set aside. In a small bowl, mix 8 teaspoons of sugar with 3 teaspoons of the golden coconut and two small pinches of salt. Mix well then spoon in each of the 5 ramekins 2 generous teaspoons (heaps) of the mix. 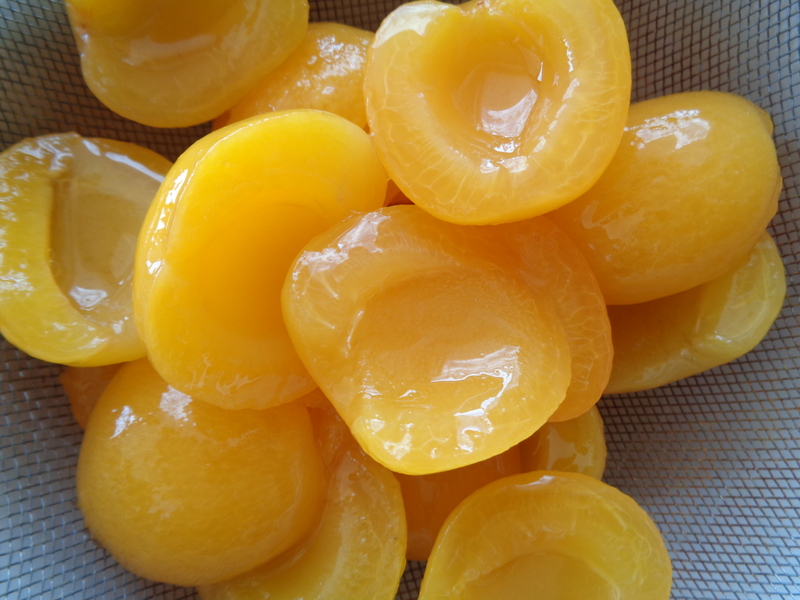 Once that is done, layer tightly in the ramekins 5 to 7 halved apricots. 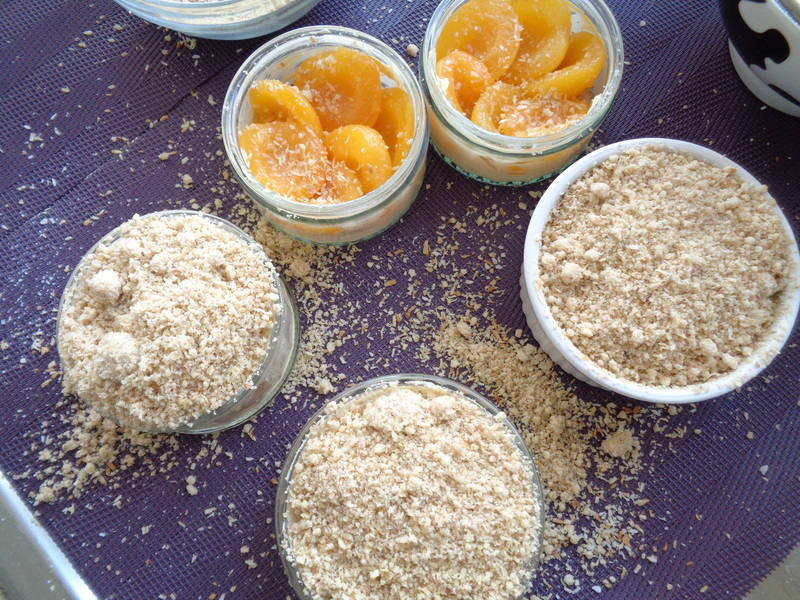 Sprinkle a pinch of roasted coconut on top of the apricot before covering everything with the crumble mix. 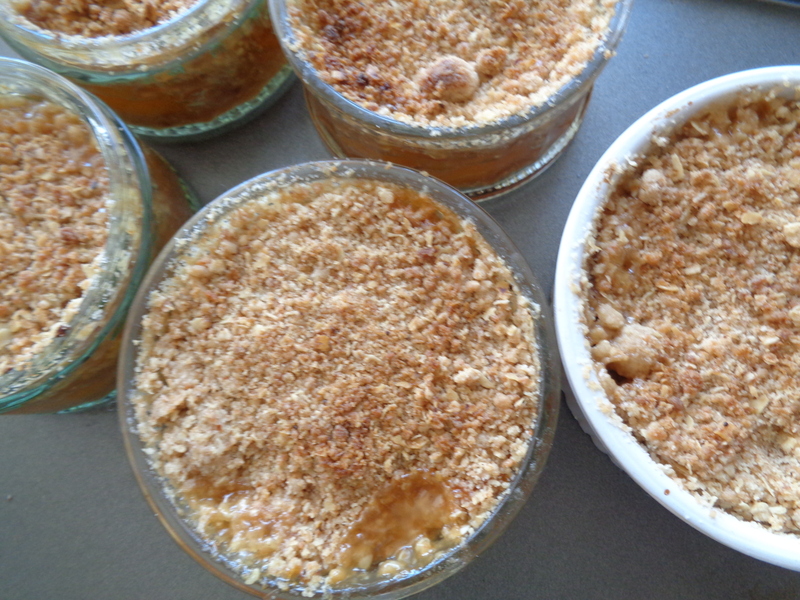 Place the individual crumble ramekins in the middle of the oven for 40 minutes at 190°C. Keep an eye on it as you won’t want the tops to burn. Ideally, around 30 minutes into the baking, the sugar should start to brown and bubble up then make its way to the top of the crumble. The other 10 minutes in the oven will allow the sugar at the bottom of the pot to caramelize. 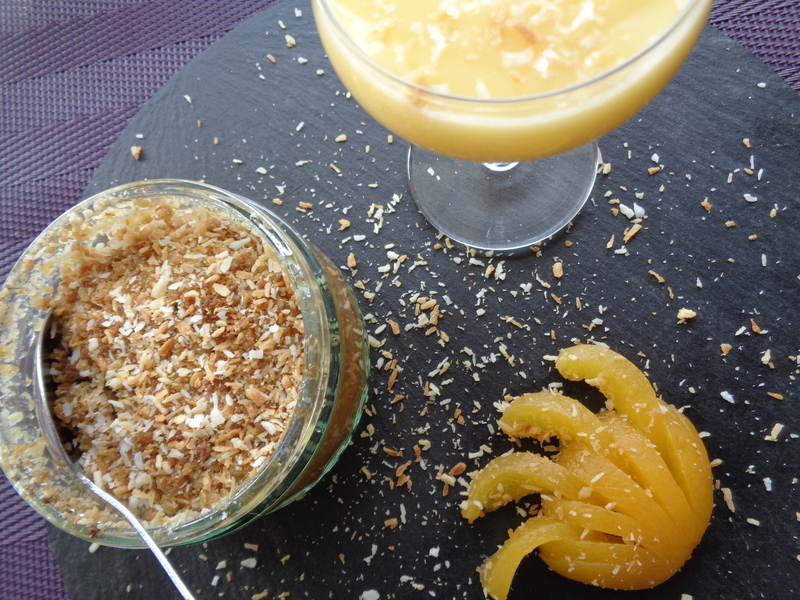 Using clear glass ramekin will help you to see thru the changes in the pudding. Serve (hot or cold) as suggested dusted with the remaining golden coconut. Enjoy!